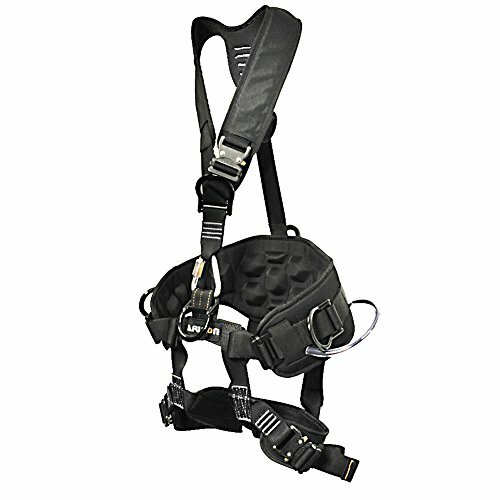 - Full body harness with 5 points of attachment. - Works as all around harness for rigging and climbing or rescue applications. - Made with the most durable 7000lb+ Mil spec type 13 high strength webbing. - Waist and shoulder are padded for maximum comfort and support. - Waist made of 3D EVA contour pad. - Every component part exceeds industry requirements. - The vest type harness design for the upper body allows user with easy donning and doffing. - Meets and exceeds ANSI Z359.1 requirement.